Seen the Disney movie? Well, why not try a variation in slot form! 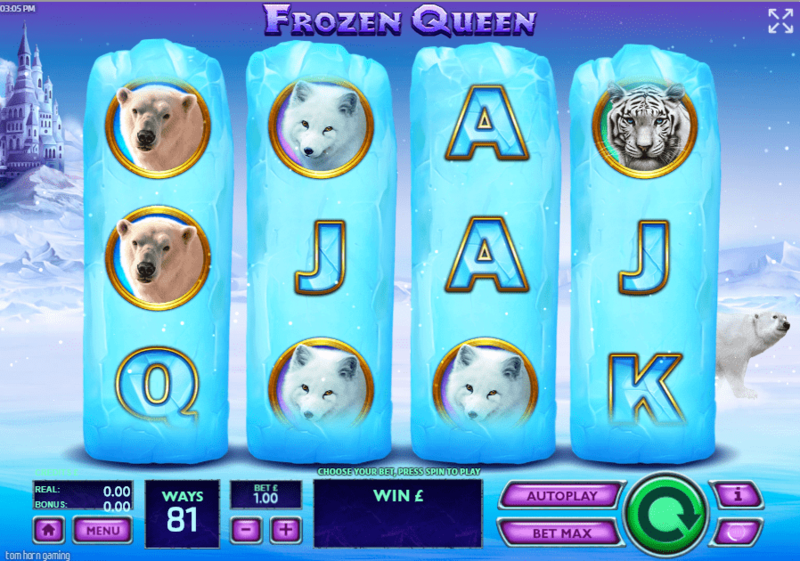 Developer Tom Horn Gaming were clearly taken back by the Disney movie Frozen, as they’ve managed to put together quite an online slot for fans of the movie and fans of slots in general! This game is a 4 reel game, one that can be played on multiple different devices depending on whatever your personal preferences are! There are 81 different ways to win in this slot, which is quite the variation if you are planning on staying in the snow for quite a while. If you are relatively new to the online slot world, then this slot is the perfect entry point as it’s got a mix of simple and intermediate features that are perfect for newbies. Be sure to check out the rest of the review below if you seek more info about this UK Online slot. Find UK slot games here and have fun! If you are a fan of chilly slots, then this slot should be ticking a lot of boxes for a lot of players out there. Read more details below before you play one of the top slot games! Queen: The queen symbol here comes with a very hidden set of talents! When matched she will push the reels out just a little bit more, meaning this will become a 5 reel game, and will, therefore, have more ways to win as a result. Wilds: The magic crystal symbol here serves as the games chosen wild symbol, when you match it you will be substituting a lot of symbols for higher scatter symbols that will lead to free spins in toe.